Toy Nippon: BBTS News: Transformers, Marvel Legends, MOTU, Bandai Japan, Hot Toys, Batman, Star Wars & More! 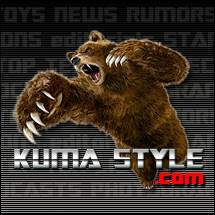 BBTS News: Transformers, Marvel Legends, MOTU, Bandai Japan, Hot Toys, Batman, Star Wars & More! With a confirmed 2nd production run, those who missed out the first time will have a chance to pick up this great figure. Red Alert is listed at $79.99. This Wave 02 Case includes two each of Amazing and Superior Spider-Man figures as well as one each of Electro, Spider-Girl (Arana), Boomerang and Toxin; like the first wave, this case assortment is listed at $159.99. We also have a Set of 6 from this assortment - one each of all six different figures - and it is listed at $139.99. This evil counterpart to Castle Grayskull combines facets of both the original playset and the cartoon appearance. It is sculpted by the Four Horsemen and measures about 18" x 16" x 13", and is priced at $299.99. The latest wave of Rescue Bots Minicon packs includes three of Optimus and Trex, two each of Heatwave and Cody Burns and Bumblebee and Scrapmaster and one of Boulder and Doc Green, and this assortment is listed at $49.99. We have them listed as a Set of 4 (one of each pair) for $34.99, with singles of Optimus and Trex, Heatwave and Cody Burns and Bumblebee and Scrapmaster at $6.99 each. Asmus Toys continues its new line of 1/6 scale LOTR figures with Lieutenant Guritz. He comes with alternate hands, a full set of armor and clothes, a display stand and Mordor Orc flag. He is listed at $129.99. You can get the Autobot and Decepticon logo magnets for $5.99 each. These are the versions that shade from blue to purple or red, with the black and silver outlining. The larval stages of both Mothra and Battra are included in this new set. It also comes with a display stand and spitting sting effect, and each figure is articulated. This set is priced at $99.99. This female android comes with alternate arms, faces, hair and sets of hands, along with and alternate head and hand for the previously-released S.H. Figuarts Krillin. We have her priced at $38.99. This new Potato Head is dressed in a Spidey costume, with what appears to be a removable cloth mask. It is priced at $17.99, $2 off the MSRP. This new assortment includes three each of Web Wing Spider-Man, Shock Surge Spider-Man and Blade Arrow Spider-Man, and one each of Power Charged Electro, Slash Gauntlet Spider-Man and Blitz Board Spider-Man; it is listed at $119.99. We also have Web Wing Spider-Man, Shock Surge Spider-Man and Blade Arrow Spider-Man available as a Set of 3 at $49.99, and singles of Power Charged Electro, Slash Gauntlet Spider-Man and Blitz Board Spider-Man at $8.99 each. A variety of new MLP items are now ready for pre-orders. These include Fashion Ponies 2014 Series 01 - Rarity, MLP Minis Series 02 2014 by the Case of 6, Set of 3 or singly, MLP Rainbow Power Series 02 Case, new Equestria Girls offerings and more - you can see all of these new listings at the link. Batman stands on a staircase attached to a rocky stalagmite in this new statue. He wears the black suit with yellow and black symbol from the 1989 movie and even has a little bat hanging from the underside of the staircase. It stands 26.5" tall (1/4 scale) and is listed at $399.99. This kit is of the Julie Newmar version of Catwoman, holding a whip and standing atop a rocky base with two cat statues. It is listed at $34.99, and can be displayed with or without her mask. This all-metal piece is in the shape of the word Batman written across a spread cape with Batman's head at the top. It is listed at $17.99. The new Marmit sofubi Godzilla stands 8.625" tall and is listed at $69.99. This is the larval version of Mothra from 1961, and measures 12.5" long by 2.75" wide. It is listed at $89.99. A variety of new Japanese exclusives are up for pre-order. These include 100% and 400% Bearbricks of Cyclops and Daredevil (at $34.99 for 100% and $149.99 for 400%), Sofubi Superman at $1689.99, Kamen Rider, Gundams and more. Check them all out at the link. This metal badge features a magnetic clasp and gold- and silver-finish. It is priced at $19.99. We have new listings for two kinds of tin Star Wars toys from Schylling. The 7.5" Tin Wind-Up Toys include Chewbacca, Boba Fett, C-3P0, Darth Vader and a Stormtrooper, and are listed at $19.99 each. The Tin Kaleidoscopes are $7.99 each and come in C-3P0, Chewbacca, Darth Vader, R2-D2, Stormtrooper and Yoda styles. New listings for Minecraft include 3" Steve with Horse, 3" Spider Jockey Set, 3" Steve with Diamond Armor, 3" Iron Golem with Accessory and 3" Blacksmith Villager with Accessory. These Packs are listed at $15.99 - $24.99 each. The third wave of 11" plush Hello Kitty / Street Fighter mash-ups includes E. Honda, Zangief and Dhalsim, and they are listed at $24.99 each. Four new Pop! figures have been announced. Rocky, Bullwinkle, Sherman and Mr. Peabody are all listed, priced at $9.99 each. Mooby the Golden Calf is getting more exposure with the announcement of these two new items. The Mooby Vinyl Bank stands 9" tall and is listed at $20.99, while the Minimates Two Pack of Buddy Christ and Mooby is priced at $9.99. From the recent movie comes this new 1/6 scale version of Superman. He includes alternate hands, a newly sculpted muscular body, one costume with boots, a Kryptonian Key and a display stand. It is listed at $199.99. Hot Toys' latest Predator release comes loaded with weapons and armor, as well as detachable masks with LED functions, alternate hands, alternate mandibles and a detailed display base. This figure is listed at $259.99. This new Perfect Effect release contains die-cast parts and changes from robot to tank to head for a certain giant robot, with other modes as well. It stands about 7" tall, comes with a display base and a giant cannon that can be used by other robots as well, and is listed at $149.99. Unique Toys has released this purple robot that changes from robot to energy cannon. He is primarily purple with ivory, black and orange details and stands over 7" tall. Planet X's transforming pteranodon is back in stock. He goes well with the recent release of the transforming T-Rex, and is listed at $79.99. The hero of the popular game line in sculpted jumping over a low wall. The statue stands 16.5" tall and is wearing a complete cloth outfit with simulated leather harness and much more. It is priced at $349.99. This statue of "Mrs. Spider-Man" stands 11.5" tall and shows her sitting on a stool, done from a design by J. Scott Campbell. She has a Spider-Man costume top stretched over her back and wears frayed jeans; this piece is listed at $249.99. Cobra Commander comes with his helmet and chrome mask from the show, along with his alternate hooded head, Cobra Sceptre and Daggers, a dress uniform, multiple hands and more. The head of Cobra is priced at $174.99. Cobra's head of espionage is dressed in her standard body suit and armor and includes high-heeled boots, an assault rifle, a submachine pistol and more. She is listed at $179.99. Two new figures have arrived at our warehouse. Cesspool comes with a helmet, briefcase and weapons, and is priced at $54.99, while Night Force Falcon includes multiple weapons and is listed at $49.99. Sideshow Toy continues their 12" Star Wars line with Commander Wolffe. He wears trooper armor with light blue details and carries grenades, a jetpack, two pistols and a blaster carbine, and includes a display base. This figure is priced at $159.99. This new retailer exclusive stands 19.5" tall and wears a detailed suit of armor. It wields an E-11 blaster and is listed at $359.99. This version of Frank Castle has an automatic shotgun AA-12 in his hand and wears a white harness set over his original skull t-shirt, part of a complete cloth outfit. He is listed at $359.99.